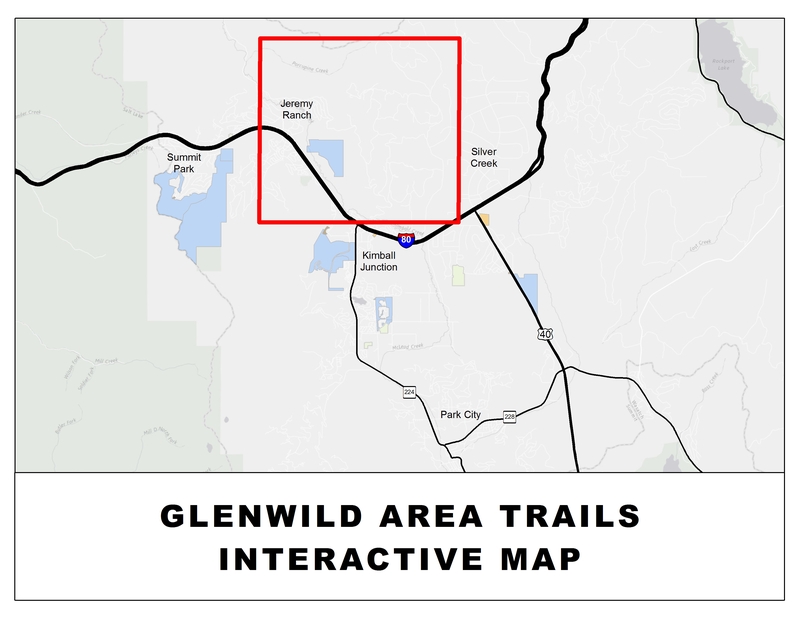 Glenwild boasts over 25 miles of backcountry trails north of Kimball Junction. All trail users should experience Flying Dog Trail at least once in their lifetimes. Steady climbs and fast-flowing descents will keep bikers on their toes and leave most begging for more! Drop down one of the trails in Bob’s Basin, such as The Drop Out or Ant Farm, on your way to or from Flying Dog to enjoy trails with a “free-ride flair” including bermed turns, small jumps, and rollers. Please use the Glenwild/Spring Creek Trailhead, the Bad Apple Trailhead behind Burt Brothers on Rasmussen Road or the East Canyon Creek Trailhead behind Jeremy Ranch Elementary School. 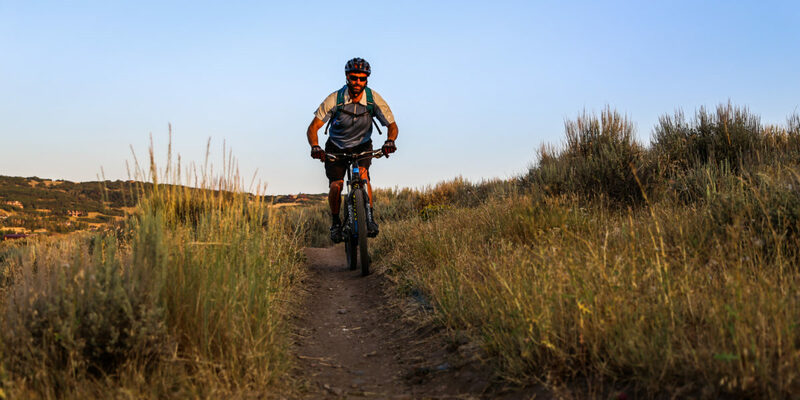 Trail users can also park at the East Canyon Road parking area and access Flying Dog Trail from the far north end of the 24-7 Connector Trail.